China has proposed new restrictions for online gaming companies to implement. Major tech companies with significant presence in the region could have to undergo substantial operational changes, reports Dow Jones Business News. The draft rules posted online by the Chinese government on Sept. 30, would require online-game operators to lock out users under the age of 18 between the hours of midnight and 8 a.m. The rules will apply to all smart devices. The regulation is vague as to whether companies would have to use Beijing-approved software. The country says it will support the development of web-filtering software to keep children safe online and will determine whether preexisting products comply with the new requirements. 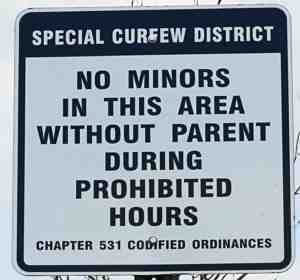 Along with the internet curfew would be a requirement for a number of websites to post warnings for content unsuitable for minors. An American video game that allows players to bomb Tiananmen Square has become the focal point of the latest Chinese censorship crack down. 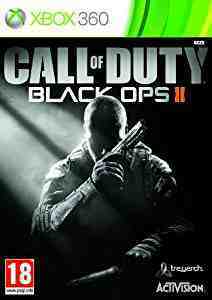 Although Call of Duty Black Ops II was first released in 2012, officials in the eastern province of Jiangxi singled it out in a recent crackdown that ordered internet cafes to stop their customers playing banned games. A short sequence in the game's alternative reality, in which a character recalls a fictional Second World War bombing raid in the heart of the Chinese capital, appears to have particularly angered the censors. Another game that fell foul of the censors was a locally produced one, Red Alert 2: Glory of the Republic, which allows players to fight against the People's Liberation Army. Provincial authorities from the culture ministry visited 39 internet cafes in the province in the last week of March to make sure they were not offering banned games, the report added. More than 5,000 internet cafes in the province have now installed a government surveillance system on their computers. Officials will be notified if users have been playing banned games in the cafes. Nag screens regularly interrupt players at internet cafes without the latest update of the games snooping program. Twitch, the game streaming giant noted for its eSports, has confirmed that it is now banned in China. Abacus first reported that Twitch's website was unavailable in mainland China, and that its app had quietly vanished from the Chinese Apple App Store. Twitch declined to comment on why it had been banned. A recent development was the popularity of the app to view the Asian Games, which was not broadcast on state television. Perhaps the ban is also to do with Chinas trade war with Donald Trump. 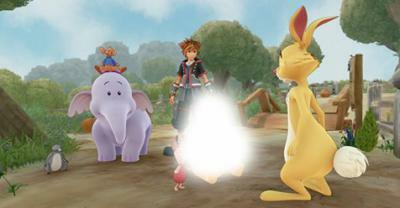 Kingdom Hearts 3 is an upcoming video game that features Winnie the Pooh. Now China's president Xi Jinping has taken offence at his gait and pot belly being likened to Pooh bear so Chinese censors have to spend hours ensuring that images of the bear are airbrushed out of Chinese life. A Chinese website sharing images of the upcoming game revealed the game's interesting form of censorship. The iconic Winnie the Pooh is censored out with a gigantic white light. Kingdom Hearts 3 launches January 29th, 2019. Earlier this month, the Chinese government moved forward with its new Online Ethics Review Committee, a government censor that exists solely to review online games and determine whether or not they are acceptable according to Chinese government ethics. The creation of the new censor was in response to government concerns that Chinese citizens were playing online games that weren't being directly regulated by China. The censor was tasked with considering twenty online games in its first round of reviews. As a result two major video games, Fortnite and PlayerUnknown's Battlegrounds , have been banned from in China altogether. Both games were big fixtures of the online multiplayer communities in China, but may not be permitted to return since they have not been designated as needing corrective action but rather appear to have been banned outright. 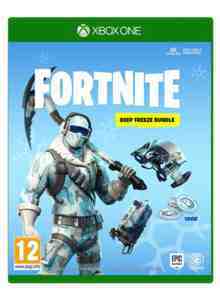 According to online reports , those reviews have found both Fortnite and PUBG to be in direct violation of the new online ethical rules. According to reports, these two titles were both banned for their gratuitous depictions of blood and gore. Other titles, like League of Legends , Overwatch , and Diablo were noted as needing corrective action but are not actually banned as of yet. China has ended a nine-month freeze on the release of video games implemented whist the country's censors were being reorganised. In March China decided to replace the government censors with a new organisation answering to the ruling Communist Party's propaganda department. It is widely feared that the new organisation will be even more censorial than the previous version.. The new censor has just passed its first batch of 80 titles, the majority of which are for mobile phones. Chinese gaming executives told the newspaper they expect it'll take officials months to clear the more than 5,000 games that need approval -- and that censorship of the games would see a significant increase. China's game censor has stopped receiving new applications for commercial video game licences, as it hasn't yet cleared a backlog of thousands of titles from a nine-month suspension that slowed growth in the world's largest games market last year. An executive at one of China's largest listed games companies said central officials had not accepted new applications since September, but the licensing process was being altered to make it more efficient. There is still a huge backlog to clear, the executive said. Daniel Ahmad, an analyst at consultancy Niko Partners, estimates regulators need six months to clear about 5,000 waiting titles.